Tesa is Europe's number one adhesive tape manufacturer and produces a wide variety of general and speciality industrial tapes. The blue PP tape, Tesa 7133, is exclusively available to the woodworking trade through Realwood Machinery & Consumables Ltd. This product is suitable for the manual taping of split ends, repairs and temporary holding of veneer sheets prior to pressing. Avoids water marks in exotic veneers and the necessity to sand and remove paper tape. After leaving the press, the tape is removed while still warm and all adhesive residues are also removed. Can be used in presses up to 120 degrees centigrade. 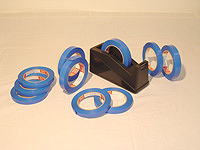 Tape holders can be supplied. 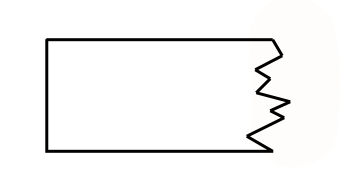 Please note, this tape can only be supplied in 19mm width. 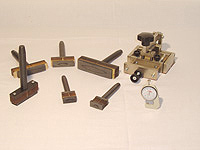 This illustration shows various types and sizes of veneer punch. Those invaluable tools that will assist in a clean, neat repair in that all important veneer lay-on. Also shown is the veneer or panel gauge to measure the veneers or panels for that all important sanding operation. All our paper tape is made from high-grade, tear proof and extremely thin cellulose and craft paper. The gum is free of grease and acids, preventing spot formation. The quick acting adhesive ensures that tights joints are made manually or by machine. 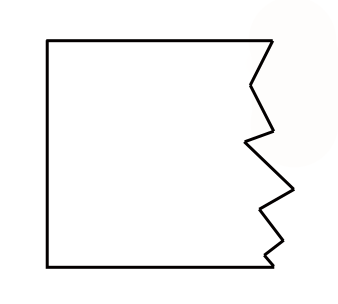 This veneer jointing system can even cope with wavy veneer. 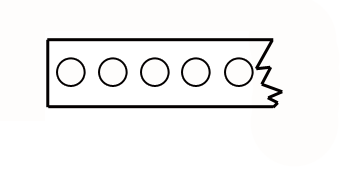 12mm, plain, 34g/sq meter. Glue out. 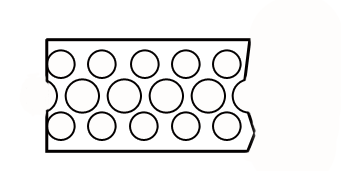 20mm, plain, 40g/sq meter (heavyweight). Glue in. 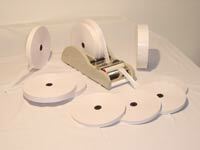 Special tapes can be supplied on request. PAPER TAPE DISPENSERS WITH WATER TROUGH ARE ALSO SUPPLIED BY REALWOOD MACHINERY.